1" or 2" x 150' rolls. 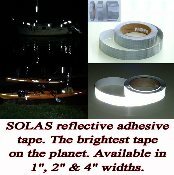 Reflexite SOLAS Coast Guard Approved Marine "Self Adhesive" Tape is the toughest and brightest tape on the market. 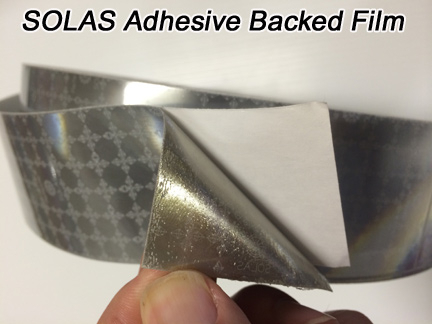 It has a very strong adhesive that will stick to almost anything. 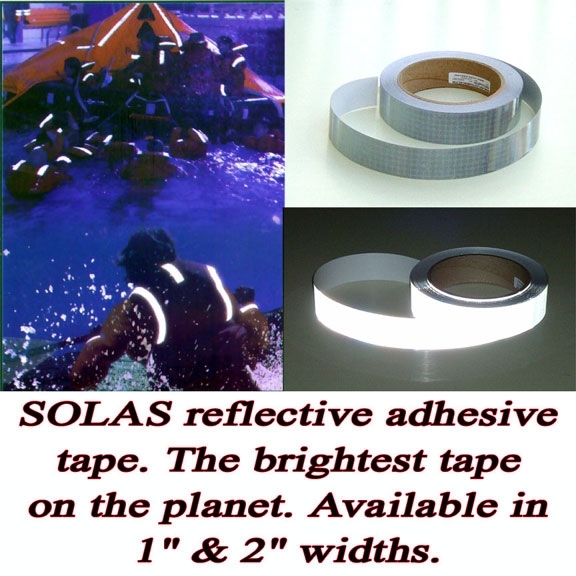 Our flexible SOLAS tape is specifically designed to increase the visibility of life jackets, ring buoys, survival suits, buoys, markers, rain suits, back packs, jackets and a variety of other objects in marine and land environments. 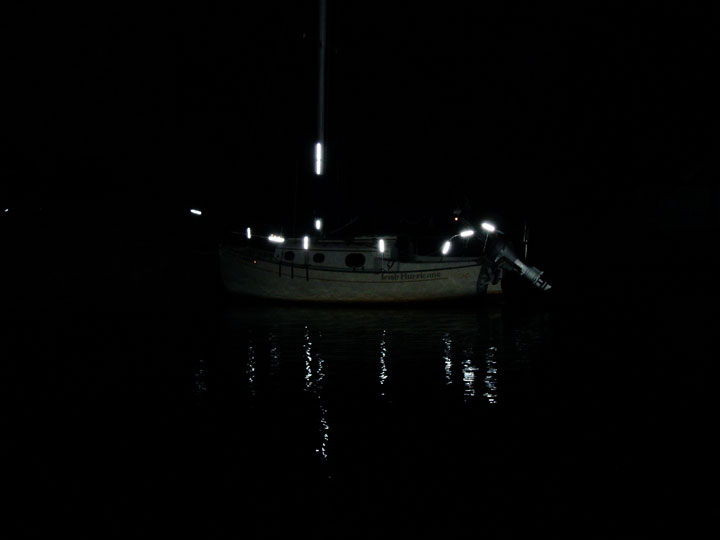 It is also very popular for motorcycles and bikes due to its extreme reflectivity. Reflexite FD1403 (SOLAS) is an 8 mil thick, flexible, UV stabilized, weather-resistant polymeric film with prismatic retroreflective elements. This material is designed to withstand the harsh marine environment and extreme cold. FD1403 is IMO Type I and II certified and meets USCG requirements for SOLAS (Safety of Life at Sea). On this page we sell the full 150' rolls. 1" x 150 foot rolls run $109.99 and 2" rolls run $179.99. You can make your selection using the drop down menu above.